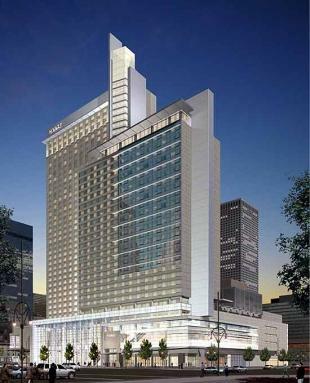 Photo courtesy of Hyatt Hotel Corp.
Kansas City, MO – The Kansas City city council received the first report on a proposed new 1,000-room downtown hotel with cautious enthusiasm yesterday. It takes seven hotels to accommodate a convention of 2,000 persons - and two of them are more than a mile and a half from the convention center. That, according to the Convention and Visitors Association will have cost the city 4 Billion dollars in convention business by 2014. Jefferson City, MO – Governor Jay Nixon and the Republican-led general assembly pledged late last year to work together during the 2009 legislative session, which ended on Friday. Both sides came away with wins, especially when their interests coincided, as with the economic development bill. But both entities lost on some key issues as well. KWMU's Marshall Griffin reports. Graphic courtesy of the City of Kansas City, MO. 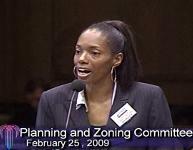 Kansas City, MO – The city council was confronted with a 362-page ordinance yesterday - one that would change the zoning laws of the entire city. Planning and Zoning chair Terry Riley said the massive document will update zoning provisions that date back as far as the 1930s, focus more on mixed-use development and make it easier for businesses to negotiate the zoning maze. City Planning and Development Director Tom Coyle reassured the council, "If you were zoned residential before the update, you will be zoned residential after." Kansas City, MO – Earlier this year, the City Council cut the budget for the Kansas City Area Transportation Authority by 7 million dollars. They cited a declining sales tax. The KCATA is raising bus fares, and last year, voters extended a 3/8th cent sales tax for transit. But even so, officials said bus service would be reduced on 25 routes. That is, unless they could secure funds from the state of Missouri. Kansas City, MO – Thursday's Kansas City city council meeting included an example of cooperation, a small protest demonstration and an expression of indignation. Cooperation between the city and Jackson County will give Sheriff's officers the power to make routine arrests for small offenses within the city limits where till now they had to call a Kansas City police officer to make the arrest, do the paperwork and follow through with court appearances. Kansas City, MO – As the superstructure of Kansas City's new performing arts center begins to reveal its shape, the focus this week turns again to its parking facilities. Performing Arts Center development manager Ken Dvorak gave a city council committee a forecast on the parking garage yesterday. Ken Dvorak: "That excavation will be complete in about a month or so. The construction documents: they're completed right now, out for review by the city, to the owner, to get owner comments, city comments back, and then put it out for bid in about two weeks." Topeka, KS – Tuesday brought unprecedented developments in Kansas politics. The state saw Governor Kathleen Sebelius resign after she was confirmed by the U-S Senate as secretary of health and human services. And Tuesday night, Lieutenant Governor Mark Parkinson -- a former chairman of the state Republican Party -- was sworn in as the state's next Democratic governor. We get more from Statehouse reporter Joseph DiNitto. Listen to the Statehouse News on the Kansas Public Radio website. Kansas City, MO – Kansas Governor Kathleen Sebelius has been confirmed as secretary of health and human services by a 65-31 Senate vote. The governor's office has announced that Lieutenant Governor Mark Parkinson will be sworn-in as governor at 7 o'clock Tuesday evening in a ceremony in the North Wing of the Statehouse. Photo courtesy of KCCG, Channel 2. Right click to enlarge. Kansas City, MO – The city council Finance and Audit Committee heard the results of Kansas City's first employee satisfaction survey since 1992 on Wednesday. 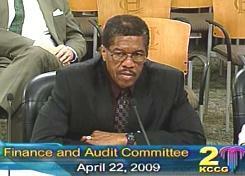 Auditor Gary White read off the numbers. 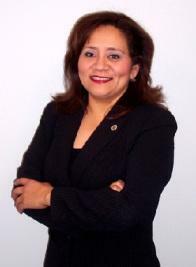 Eighty-five percent of city employees are satisfied with their jobs. Seventy-five percent said the health benefits suit their needs. But the mayor and council got bad grades. 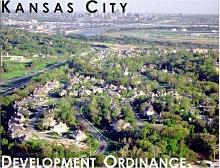 Kansas City, MO – The Kansas City city council passed enabling ordinances for development projects in the northland... and a resolution endorsing Aim4Peace that members hope will help the organization find grants to replace city funding eliminated in the new budget. Last-minute wording revisions sent an ordinance requiring council approval of line-item transfers of funds sent it back to committee for another review. 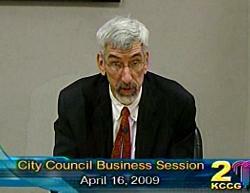 But not before a confrontation over its subtle slap at Mayor Mark Funkhouser. 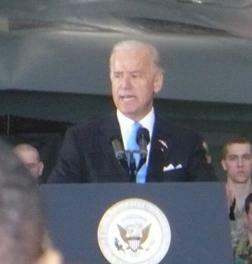 Whiteman AFB, MO – Biden spoke in huge hanger, right in front of a B-2 bomber, one of the most expensive weapons systems ever developed about the need take care of the day to day needs of military personnel. Biden: The only sacred commitment a nation has, is to prepare those we send, equip them with all they need, and care for whatever their needs are when they come home. Kansas City, Mo. 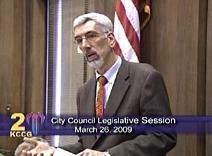 – A citizen petition drive seeking an election to recall Mayor Mark Funkhouser became legitimized on April 6, 2009 as the Kansas City Missouri City Clerk determined that language in the petition meets city requirements. The drive makes three claims: that the mayor has violated the volunteer ordinance and nepotism law in the way his wife acts as advisor; the use or misuse of city resources; and it questions Mark Funkhouser's ability to work with other elected officials. Video frame courtesy of Channel 2, KCCG. Kansas City, MO – The Kansas City, Missouri city council passed an ordinance limiting dress code restrictions and advanced toward making the MAST ambulance service a city department Thursday. The galleries were filled with MAST employees and their supporters who applauded when anyone made a point for starting the takeover process and waiving the city's residency requirement for present MAST employees unless they voluntarily move. Kansas City, MO – If there's one thing you don't want to get sloppy with, it's nuclear weapons. But recent mishaps in handling US nukes have set off alarms. In response, the U.S. Air Force is "standing up" a new command to oversee all its ICBMs and nuclear-capable bombers. Six communities from Cheyenne to Shreveport, to Knob Noster, Missouri had been clamoring for that mission until yesterday. KCUR'S Frank Morris reports. 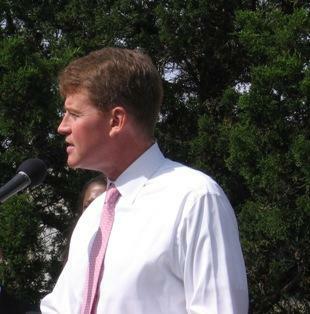 Kansas City, MO – On the deadline day, Kansas City, Missouri has a budget designed to meet an $87 million shortfall... basically the same one the finance committee endorsed a week earlier. Mayor Mark Funkhouser tried twice to persuade the council to restore some funding to youth and violence prevention programs and especially to the police department despite Councilwoman Jan Marcason's assurances that the number of officers on the street will not be reduced. Kansas City, MO – The idea of making MAST a city department was endorsed last week by a study group that included the present and past Medical Directors of Kansas City emergency efforts and City Hall's top financial heads. Photo courtesy of Metropolitan Ambulance Services Trust. 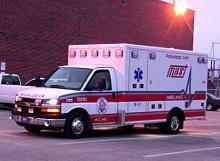 After several years of debate, the city council has started mapping a new future for Kansas City's ambulance service. MAST won't stay an independent organization, but it won't become part of the fire department, either. Video frame courtesy of KCCG,Channel 2. Kansas City, MO – The Kansas City Council's Finance and Audit Committee has advanced the council's version of the city budget and recommended that the full council pass it next Tursday. But the debate isn't over yet. KCUR's Steve Bell reports. Kansas City, Mo. – One question mark has been cleared in the March second death of a 7 year old boy when he was hit by a Kansas City Fire Department pumper. The question is about sirens. Others remain. Dan Verbeck reports. 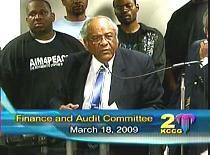 Kansas City, MO – The Kansas City city council had hoped to have a finished budget ordinance, but didn't accomplish that. On the day the council had hoped to put figures on the table, it heard a report on an employee benefit package that was both a victory and a disappointment. Budget Director Troy Schulte and others had hoped to self-insure city workers at substantial savings. Turnaround time was to short for self-insurance, but Schulte told how a committee avoided a 12 percent cost increase current providers were going to charge. Kansas City, MO – Two weeks later than the council would have preferred, Mayor Mark Funkhouser submitted his budget suggestions for the coming year on Thursday. No one commented or asked questions as the mayor delivered his budget memo, which makes about $20 million worth of adjustments in the budget that was proposed by the city manager. Kansas City, MO – Fort Leavenworth is famous for its prison, but the Army is much more proud of the Command and General Staff College there. They call it the "Intellectual Center of the Army," a kind of grad school for mid-level officers. The college honored one its graduates Thursday, February 26. 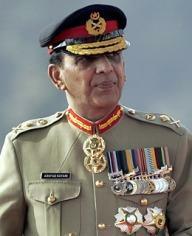 The ceremony highlights the school's diplomatic role one that may be key to winning the war in Afghanistan and northwestern Pakistan. KCUR's Frank Morris reports. Kansas City, MO – The two-year battle over the dress code at the Power and Light District continued yesterday, as a city council committee heard public testimony on a proposed tougher ordinance on what a dress code may not prohibit. The one at Power and Light bans athletic attire and garb associated with the Hip-Hop culture. Developer the Cordish Company says it is just about clothes. But the ACLU's Lisa Watson said it's really about who gets excluded for wearing the clothes. At the Kansas City city council's business session Thursday, the mayor was disappointed with the budget, the council was disappointed with the mayor and solving the city's revenue shortfall was still at a standstill. 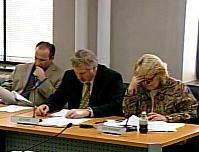 Kansas City, MO – The Kansas City city council may have had the shortest committee meeting ever this week. At last week's Finance and Audit meeting council members blasted City Manager Wayne Cauthen's two-weeks-in-a row avoidance of coming in to discuss the budget. Beth Gottstein even sent a messsage, telling a Cauthen aide: "I made a point to be on time this morning and I hope that he will make an equal effort to be on time next week."